Greetings and appreciation for your partnership and brotherly love. 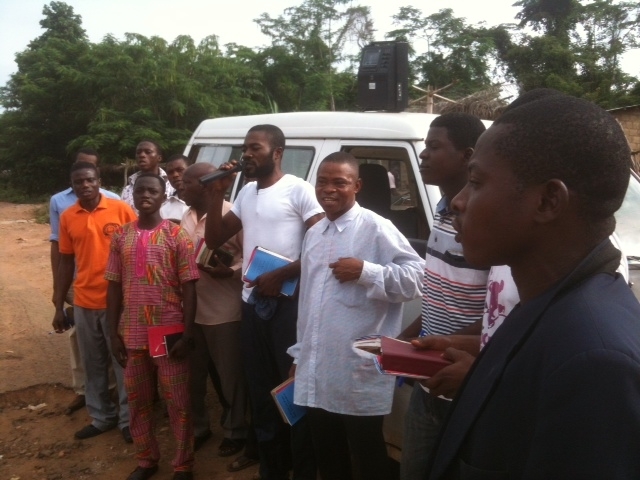 WEEKEND EVANGELISM / GOSPEL CAMPAIGN: The students and staff of the SWSE Ibadan main campus evangelized Oluwo town via Egbeda, Asejire-Oyo state, Asejire-Osun state, Jago and Butubutu villages on Saturdays in the month of June. As the result of our continuous evangelism at Jago town, one of SWSE graduates, brother Oladapo Ishmael, brother Kayode S.Eniafe, and brother Adedoyin Sola Rotimi started another congregation of the Lord's church at Jago Isale on June 21, 2015. There were 15 in the first worship. 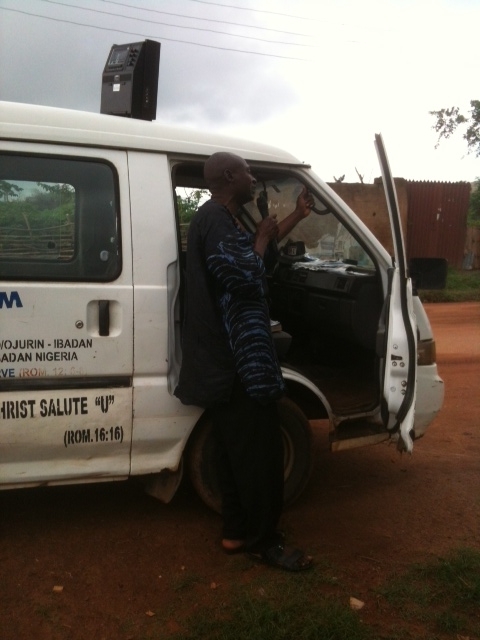 REPORT FROM SWSE INSTRUCTORS: Brother Abiola J.Olusoji reported the conversion of a soul at the Agege congregation, Lagos state during the month of June while brother Dairo Joseph and brother Ezekiel Okorougo continue their daily morning campaign using the Mission Printing materials. REPORT FROM SWSE GRADUATES: Brother Ajiteru Olufemi, the evangelist for the Ikare congregation reported the birth of the Lord's church at Oka-Akoko in Ondo state with two converts. Brother Adeyehun Raphael, the evangelist of the Igbotako congregation in Ondo state reported the conversion of two girls and the restoration of three brethren, while brother Matthew Adeyemi of the Igbesa congregation in Ogun state reported the conversion of a young lady on June 21, 2015. SWSE STUDENTS TEACHING PRACTICE: All year-one and two students of the SWSE -Ibadan and some from Agrge satellite campus are to embark on a month of teaching practice from July 10 through August 10, 2015. The thirty-six students will be serving in Taraba state, Kwara, Kogi, Abia, Imo, Oyo, Ogun, Ekiti, and Lagos states. This year’s one month teaching practice will cost us $500 and $1,500 for the forth coming 13th Annual Bible Lectureship & 12th Graduation of 25 men. 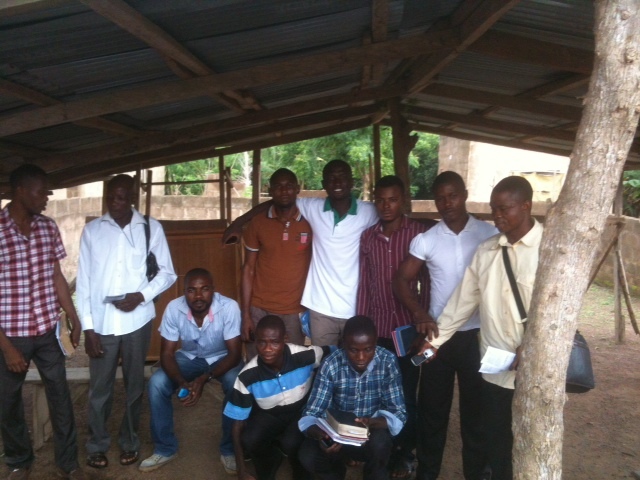 Those willing to help us financially with the students teaching practice or the annual Bible Lectureship should contact brother Doug Wheeler or brother Steven Ashcraft (BVBI - West Africa Regional Director) or brother David Ballard (BVBI - Cameroon & Nigeria Coordinator) before or on July 25, 2015. 4TH SEMESTER LECTURES AT SWSE IBADAN MAIN CAMPUS: This fourth semester is the longest, toughest, and most costly semester, due to students teaching practice and several practical presentations by students. I am teaching on LOC- 4, Research Methods, and Revelation & Discipleship Training; brother Kayode Solomon Eniafe is handling the Book of Romans, OT Prophets - Major, Evangelism 3 and Homiletics 3; brother Abiola Joseph Olusoji is handling Pastoral Epistles, Evangelism 2, and Psychology / Christian Disciplines, while brother Isaac Olaniyan is teaching on Church Admin / Leadership, Methodology and Practical Homiletics. All classes end on July 3, 2015 in preparation for the July 6-10 examinations. Revision comes up between 7:00pm through 9:00pm daily from June 29 through July 3, 2015 Lord's willing. Thank you so much for your faithful commitment for the cause of Christ. Posted on June 28, 2015 by Robert Turner and tagged Extensions Nigeria.